MoneyMoz is a personal finance and money saving website and is run independently of any financial groups. We like to encourage experts and others to send in articles on anything to do with saving money – credit cards, shopping, mortgages, loans, interest payments and much more. We do however have strict guideline that you can view here. We are often asked why we call ourselves ‘MoneyMoz’ and it is basically because it is kind of modern and interesting and doesn’t really mean anything specific! ‘Moz’ also conveys trust (eg DMOZ or Mozilla! – see our blog for details) – trust is something that is very valuable for us since we are also a non-profit-making site! Hope you find the information on the website helpful and please get in touch if you want to contribute your expertise. 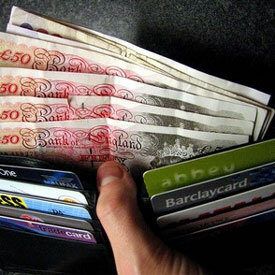 The Money Advice Service – Free and impartial money advice. They have their own advice service and also work in partnership with other organisations to help people make the most of their money. NetMums.com – some great tips that will make a big difference to your household finances.